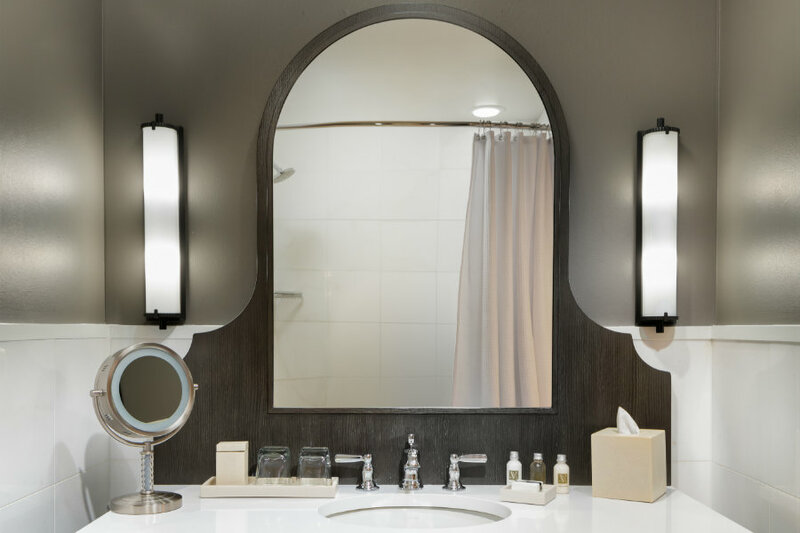 Our 213 San Antonio hotel rooms are the signature design of Rottet Studios of Houston, TX . 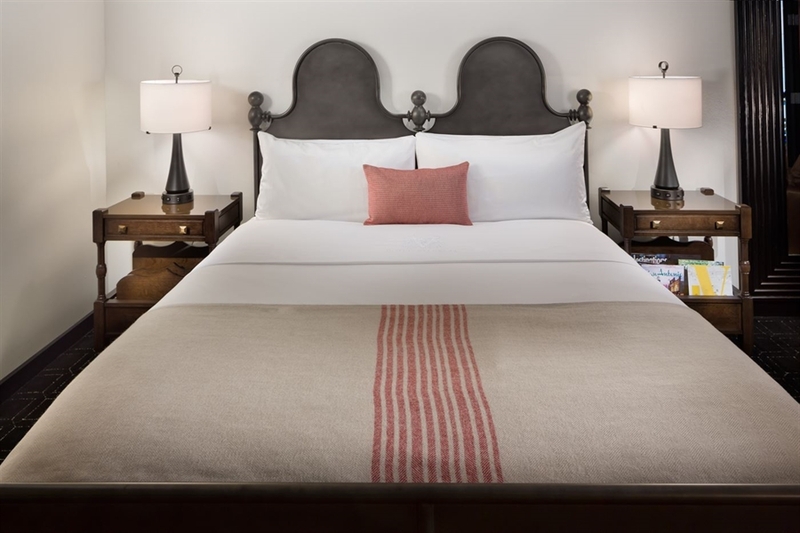 Featuring sleek lines and sophisticated Spanish Colonial style, our San Antonio boutique hotel accommodations offer custom-made Hotel Valencia beds complemented by seven luxurious layers of designer Egyptian cotton linens. 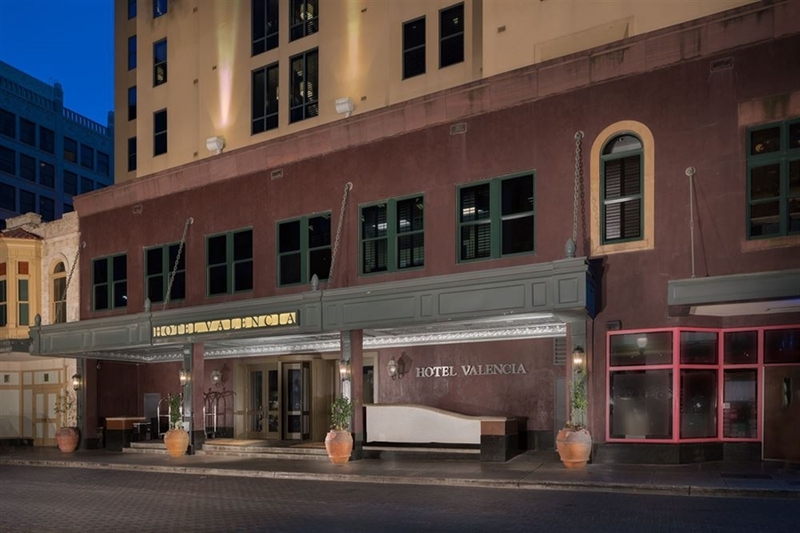 One of the best luxury hotels in downtown San Antonio, Hotel Valencia Riverwalk's accommodations are unparalleled. Handicap accessible rooms available. 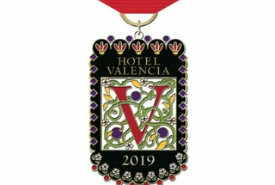 There are 17 rooms at the hotel adapted for physically challenged guests. They are in full compliance with the Americans with Disabilities Act. The Housekeeping Department also provides raised toilet seats and shower chairs upon request. 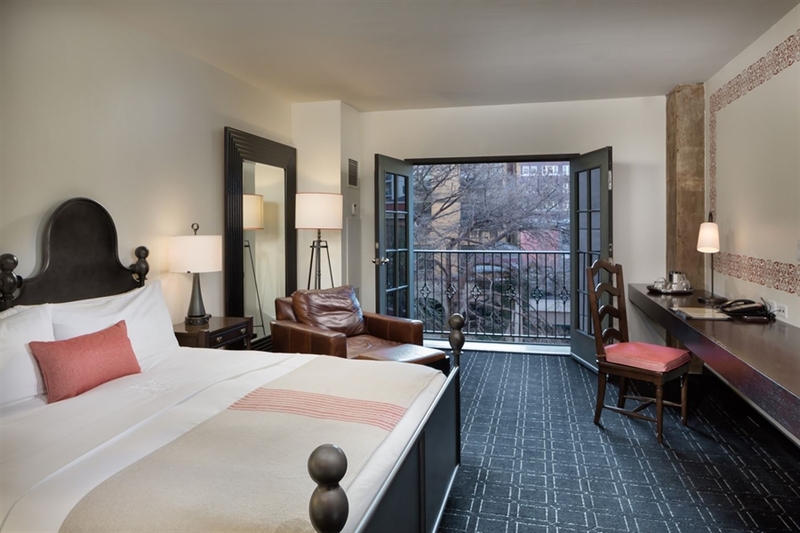 Classic rooms range from 350 to 375 square feet and feature views of the city or courtyard. Rooms are furnished with custom bedding, 42-inch flat-panel LCD color TV, an oversized leather armchair, desk, and private bar. The full bathroom offers a traditional bathtub and shower combination. 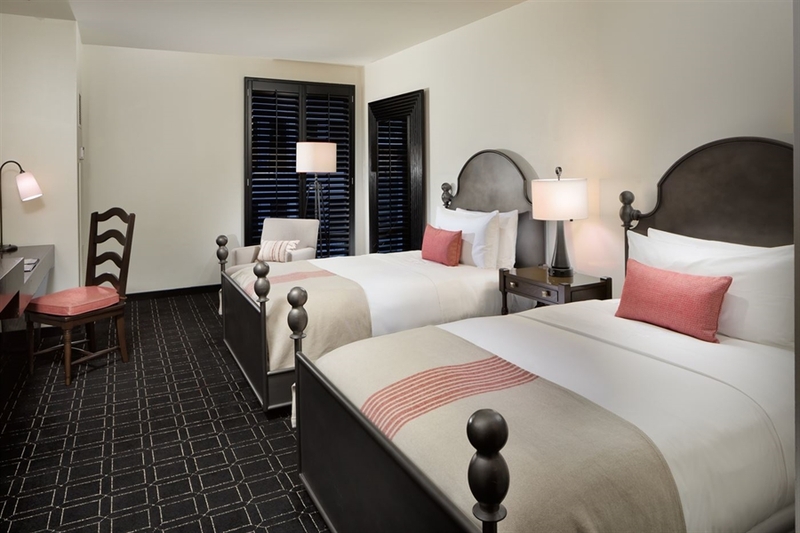 Rooms also feature complimentary high-speed internet access for luxurious and convenient San Antonio Texas lodging. 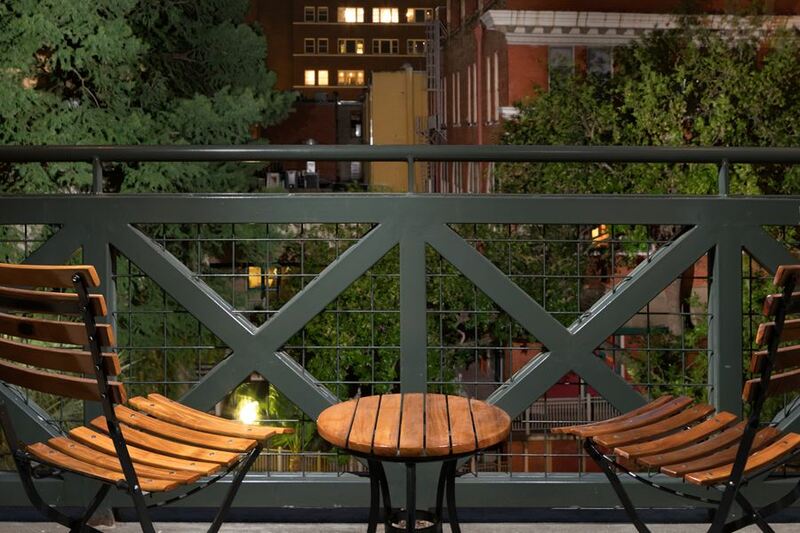 Deluxe Balcony rooms range from 375 to 400 square feet and feature views of downtown. Guests can enjoy the fresh Texas breeze on the sit-out balcony. 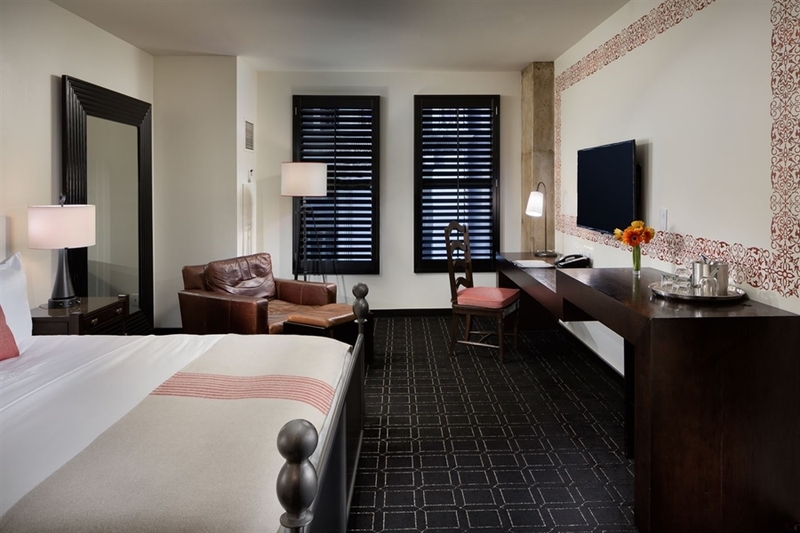 These downtown San Antonio hotel rooms are furnished with custom bedding, 42-inch flat-panel LCD color TV, an oversized leather armchair, desk, and private bar. The full bathroom offers a traditional bathtub and shower combination. Rooms also feature complimentary high-speed internet access. 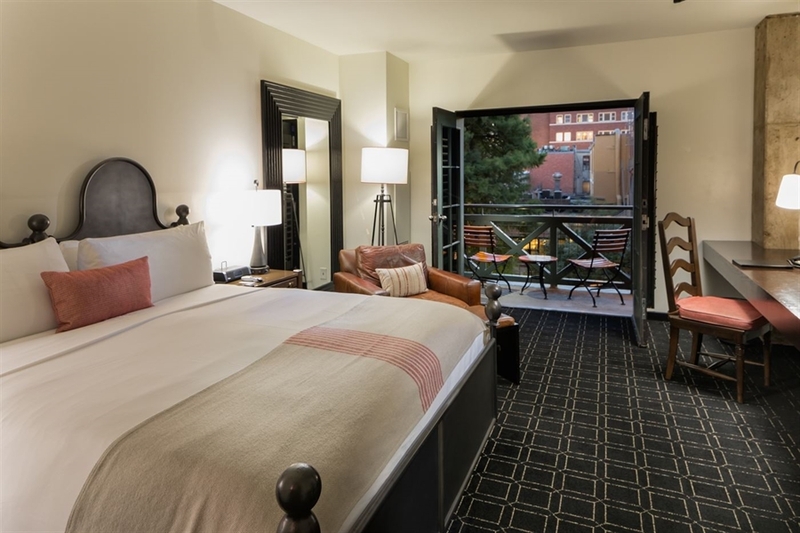 Riverview rooms range from 350 to 425 square feet and feature views of the River Walk and downtown San Antonio. Rooms are furnished with custom bedding, 42-inch flat-panel LCD color TV, an oversized leather armchair, desk, and private bar. The full bathroom offers a traditional bathtub and shower combination. Rooms also feature complimentary high-speed internet access. 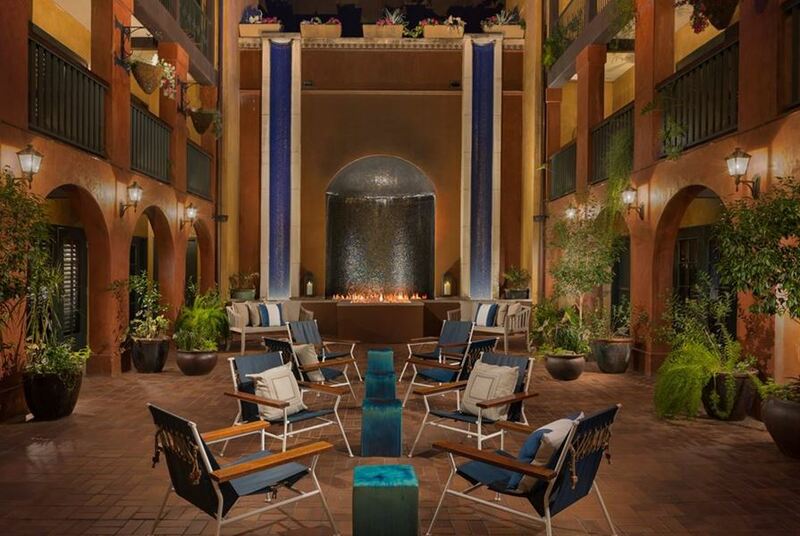 Courtyard Balcony rooms range from 375 to 400 square feet and feature views of the courtyard with fire-lit cascading waterfalls. 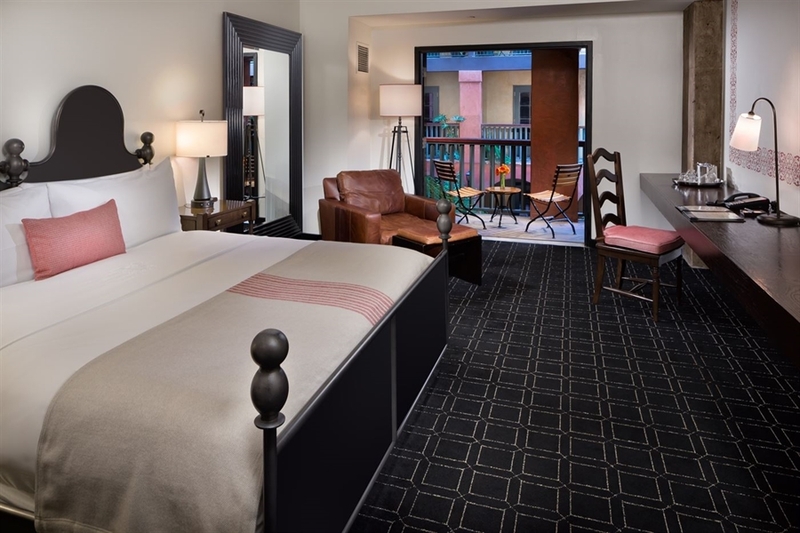 These hotel rooms in San Antonio are furnished with custom bedding, 42-inch flat-panel LCD color TV, an oversized leather armchair, desk, and private bar. The full bathroom offers a traditional bathtub and shower combination. Rooms also feature complimentary high-speed internet access. 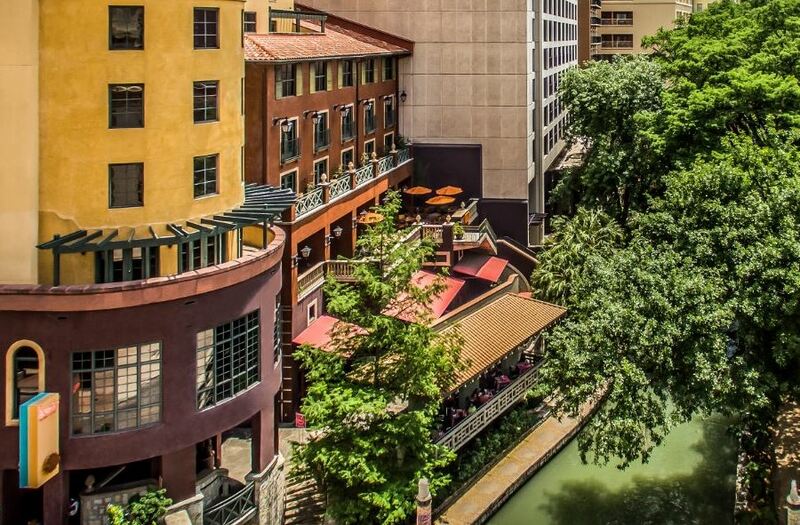 Riverview Balcony rooms range from 375 to 400 square feet and feature views of the San Antonio River Walk. Guests can enjoy the fresh Texas breeze on the step-out balcony. Rooms are furnished with custom bedding, 42-inch flat-panel LCD color TV, an oversized leather armchair, desk, and private bar. The full bathroom offers a traditional bathtub and shower combination. 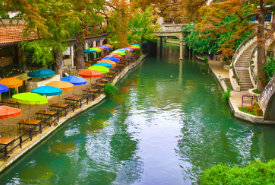 Rooms also feature complimentary high-speed internet access for exceptional San Antonio Texas lodging. 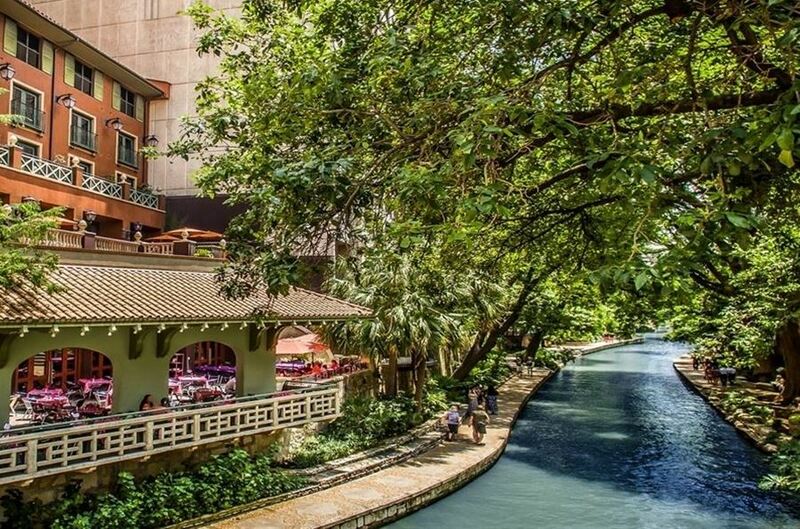 Riverview Balcony rooms range from 375 to 400 square feet and feature views of the San Antonio River Walk. Guests can enjoy the fresh Texas breeze on the sit out balcony with 2 chairs. Rooms are furnished with custom bedding, 42-inch flat-panel LCD color TV, an oversized leather armchair, desk, and private bar. The full bathroom offers a traditional bathtub and shower combination. 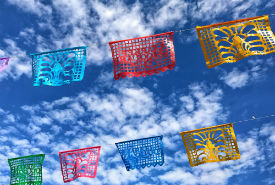 Rooms also feature complimentary high-speed internet access for exceptional San Antonio Texas lodging. Handicap accessible rooms available. There are 17 rooms at the hotel which are specially adapted for physically challenged guests. These rooms are in full compliance with the Americans with Disabilities Act. The Housekeeping Department can also provide raised toilet seats and shower chairs upon request.